New research shows that not all corals respond the same to changes in climate. 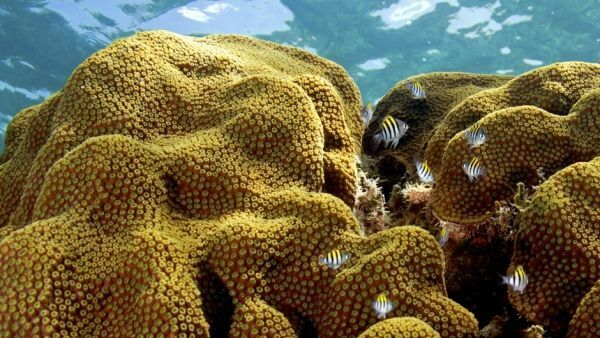 The University of Miami (UM) Rosenstiel School of Marine and Atmospheric Science-led study looked at the sensitivity of two types of corals found in Florida and the Caribbean and found that one of them—mountainous star coral—possesses an adaptation that allows it to survive under high temperatures and acidity conditions. The researchers exposed two threatened Caribbean reef-building coral species, staghorn coral (Acropora cervicornis) and mountainous star coral (Orbicella faveolata), were exposed to combinations of normal (26 degrees Celsius) and elevated temperature (32 degrees Celsius) and increased carbon dioxide levels (pH 7.8/800 ppm) for nine weeks. Genetic and physiological data such as skeletal growth was then collected on the corals to determine if stress events are recorded in a coral’s skeletal history.